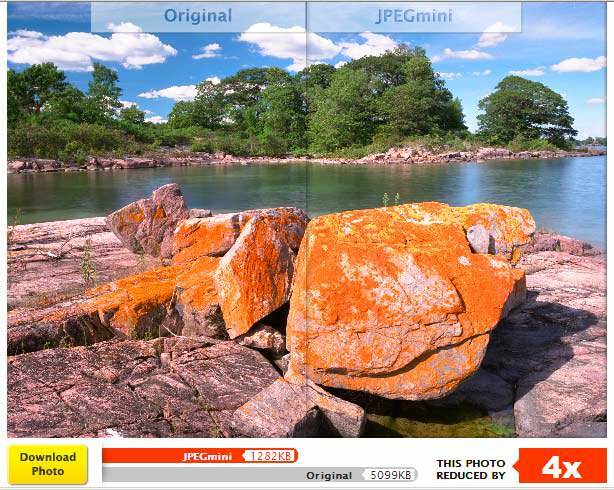 JPEGmini is image optimization technology that reduces the size of JPEGs by up to 5 or 6 times their original size, while maintaining resolution and perceived quality. Developed by ICTV, an Israeli startup company, JPEGmini works within the existing JPEG standard to optimize the size of JPEGs for faster downloads and lower storage costs. The patented algorithm developed by ICVT allows JPEGmini to compress images just below the level where perceived artifacts appear. The results, as you will see below, are smaller files that look visually identical to the original images. In this article we test the new service, and interview the CTO. JPEGmini works by iteratively reoptimizing existing JPEGs using their own perceptual quality measure. ICVT developed a perceptual quality measure that imitates the qualities of the human visual system. This features enables JPEGmini to apply the optimal amount of compression to each photograph. Rather than using an arbitrary amount of compression as in Photoshop (low, medium, high), JPEG mini applies the optimum amount of compression for each given image, while maintaining existing perceived visual quality. You can try JPEGmini out for yourself as a free service at JPEGmini.com. You can upload single images to optimize (or register to upload entire albums and export them to Picasa and Flickr) and download the results. To test the service, we tried optimizing images saved directly from a digital camera, and from scans from slides. Bottom line, we were able to reduce JPEGs saved directly from a digital camera from 3 to 6 times smaller (see Figure 1). 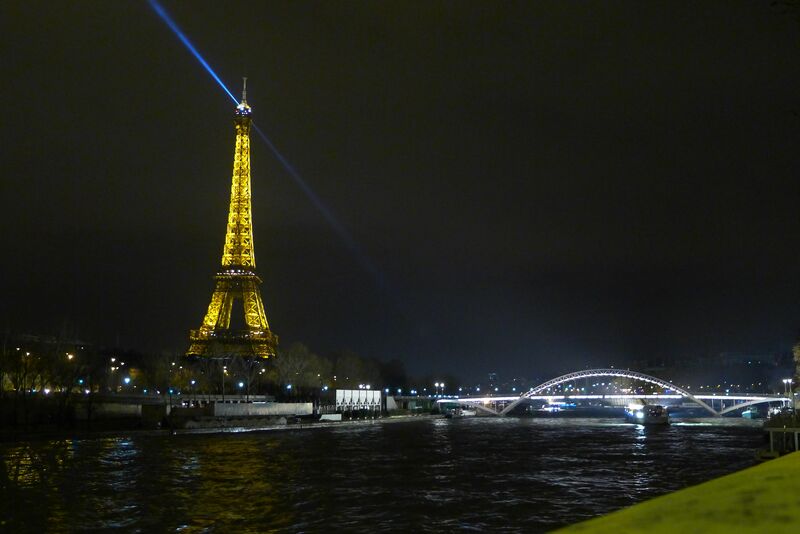 The familiar scene of the Eiffel tower lit up at night was shot with a Lumix LX-5 resting on a riverside wall (see Figure 1). Shot on a recent trip to Paris (I highly recommend going), the Eiffel tower lights up on the hour with a spectacular display. The original image was 3206K or just over 3 Megabytes in size, saved directly from a digital camera. The JPEGmini optimized version is 536K, or 6 times smaller! That is over 83% smaller in file size, with the same visual quality. 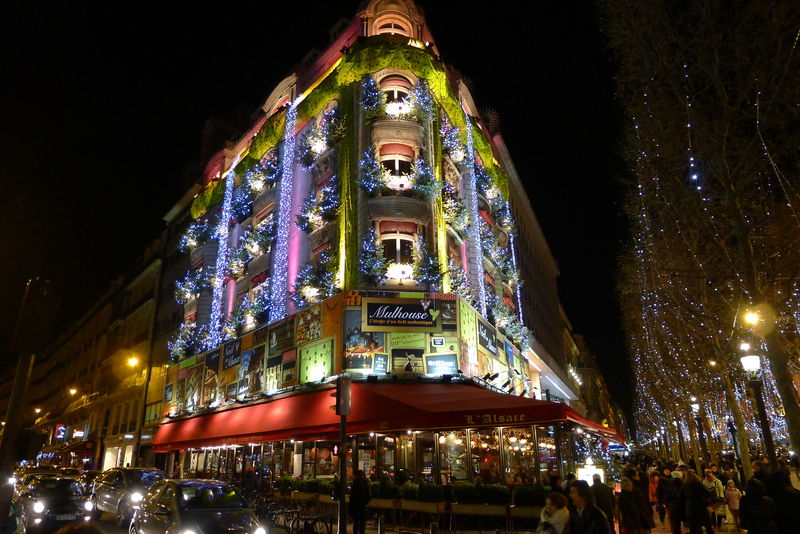 Another shot of a bedecked building along the Champs-Élysées compressed 3.1 times smaller than the original file (see Figure 2). The original shot was 4005K or just under 4MB in size. The JPEGmini optimized version came in at 1,298K or 3.1 times smaller. JPEGs that come directly from the camera compress better than JPEGs that have been manipulated or scanned. This is because JPEGs that are saved from digital cameras have fewer artifacts. The more artifacts an image has from JPEG compression, the lower the possible compression ratio. Also, the larger the file, the more the potential compression (see Table 1). Testing an original scanned image (from a 6×7 color negative) confirmed this trend. A full-sized Pro Photo CD scan of a 6x7cm negative (saved as a max quality JPEG without optimization in Photoshop) compressed to a file 4 times smaller (see Figure 3). A smaller version of the above file saved as a medium quality JPEG (rather than max above) yields a 307KB file. Optimizing this smaller version of the same image shrinks it by 1.3 times (to 240K) (see Figure 4). We talked to Dror Gill, the CTO of ICTV about JPEGmini. WSO: How does JPEGmini work? Do you iterate? Gill: We iterate using our own perceptual quality measure, which converges very fast, and also do some clever stuff with the JPEG encoding itself. WSO: Do you accept images other than JPEGs? Say TIFFs? Gill: – JPEGmini currently we only supports JPEG images. WSO: Do you plan a Photoshop plug-in? Gill: We are considering other formats for implementing our technology, including offline software such as a desktop application or Photoshop plug-in, and adding a Web API to our site. WSO: Do you offer a way to adjust the level of compression? Gill: Our web service currently does not support setting the compression level, as we want to create the best quality photos which are perceptually identical to the originals. However, our technology does enable compressing to lower quality levels as well, and we may expose this functionality in future versions of the website or in the offline products. WSO: It looks like your software works best from original JPEGs from digital cameras, correct? Why is that? Gill: Yes, our software works best for original JPEGs from the digital camera. The reason is that digital cameras don’t have “smart” compression algorithms, so they just set the compression level to a very low number (=very high quality), and this ensures that almost all photos will not have any artifacts, but at the cost of very large file sizes. Our technology can identify what is the optimal compression that can be applied to each photo, so no artifacts will be visible at 100% zoom. Basically we developed a quality measure that is perceptual, i.e. it imitates the qualities of the Human Visual System (HVS) very closely. This enables us to apply the optimal amount of compression to each photo. 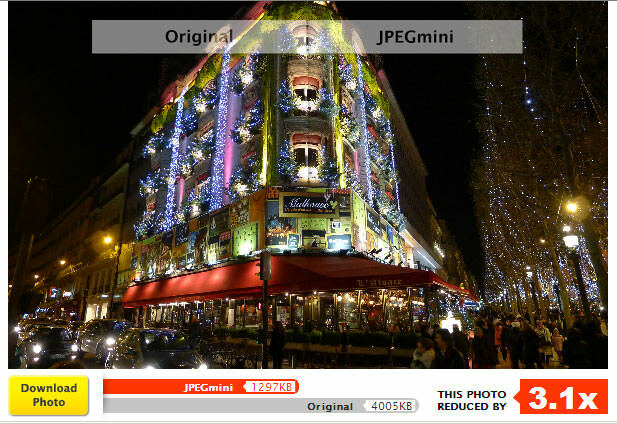 JPEGmini is a new JPEG recompression algorithm that shrinks existing JPEGs by up to 5 to 6 times smaller than their original size, without any change in appearance. 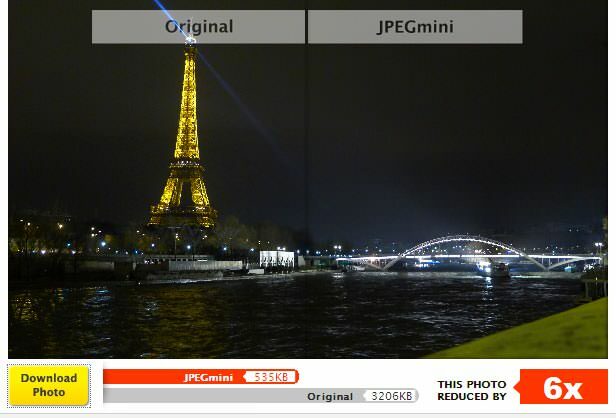 JPEGmini works most efficiently on JPEGs saved directly from digital cameras. The larger the JPEG, the smaller the resulting file. JPEGs that have been previously optimized or scanned saw lower compression ratios than JPEGs saved directly from digital cameras. The CTO of ICTV hinted that a Photoshop plug-in may be in the works, and that the software can allow for adjusting compression levels. Accepting TIFs would be a welcome addition as well. JPEGmini is an effective way to save storage space and transmission costs for digital images on and off the Web. Next Next post: SSL Gratis, ada yang mau?